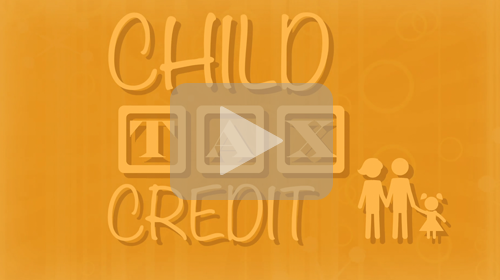 Learn how the recent changes to the Child Tax Credit affect you. 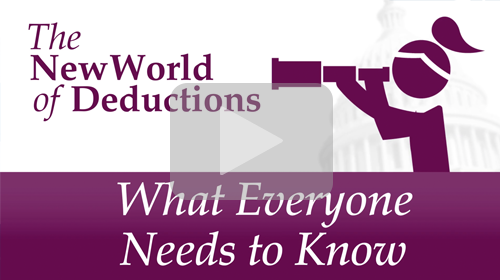 How will the new itemized deduction tax changes impact you? Learn how itemized deductions will change in the filing of your 2018 taxes with the passage of the new tax legislation. 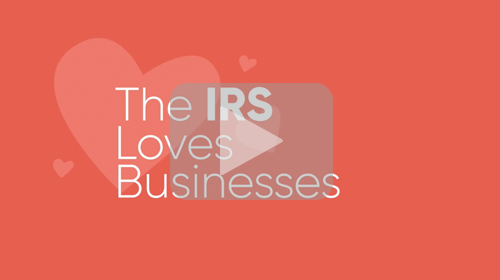 Wonder what the IRS is paying attention to when it looks at small businesses. Here are five key areas requiring defense when the IRS turns its focus on your business. It is important to note that under the Tax Cuts and Jobs Act, taxpayers cannot claim a miscellaneous itemized deduction for unreimbursed employee travel expenses. Taxpayers also cannot claim a deduction for moving expenses, except members of the Armed Forces on active duty moving under orders to a permanent change of station. You might not want to hear this, but it’s already time to start thinking about tax preparation. Although April feels far away, the earlier you begin planning your tax filing, the more likely it is you’ll take advantage of all the tax breaks that tax year 2018 has to offer. This is the first year the Tax Cuts and Jobs Act of 2017 will be in effect, and this act will likely affect you and your taxes. Many of the miscellaneous itemized deductions, including unreimbursed job expenses, have been repealed for the 2018 tax year. To make it easier for you to understand how you’ll be affected, GOBankingRates put together this list of tax deductions — including ones you might not know about — that you can still take advantage of. Medical and Dental ExpensesYou can deduct medical and dental expenses for yourself, your spouse and your dependents. However, you can only deduct the amount of your total medical expenses that exceed 7.5 percent of your adjusted gross income. Tax Preparation Fees (if You're Self-Employed)Whether you do your own taxes with a tax calculator or pay someone to do them, you can write off the fees on your miscellaneous tax deductions list — as long as you’re self-employed. Costs can include tax return preparation and electronic filing fees. Before the tax reform, anyone was eligible for this deduction, but it’s now only available to Schedule C filers. Home Renovation DeductionTypically, home renovation costs are not deductible on your tax return. If you make improvements to your home for medical purposes, however — such as adding wheelchair ramps or lowering cabinets for better accessibility — you can deduct those renovations as medical expenses. If the renovations are made to increase the value of your home, however, you can’t claim them as medical-related expenses. Local and State Sales TaxTaxpayers have the option of deducting state and local general sales taxes or income taxes they paid during the tax year, but not both. Under the new tax law, the deductibility of state and local tax payments for federal income tax purposes is now limited to $10,000 a calendar year. If you live in a state with no income tax, consider deducting state sales tax and local sales taxes that you paid. Jury Duty PayIf you gave your jury pay to your employer because you were paid your salary while you served on a jury, you can deduct your jury pay from your taxable income. Volunteer Work DonationsYou can deduct certain expenses for charity work, like the cost of gas and oil if you use your car to get to and from the place you volunteer. If you don’t want to calculate the value per mile, you can deduct a standard rate of 14 cents per mile. You can also deduct the cost of purchasing and maintaining uniforms you wear to a place you volunteer or parking in a garage if that’s required. Just make sure you get documentation from the charity. Bad Debt DeductionIf you lent money that you never got back, it’s considered a bad debt, which might make you eligible for a tax rebate. Generally, to deduct a bad debt, you must have previously included the amount in your income or loaned out cash. You must also show that you attempted to collect the debt and that there’s no chance you’ll be able to recoup it. Moving Expenses for Military PersonnelPreviously, anyone who met the IRS distance and time tests after they relocated for a new job could take a moving-expense deduction. This deduction is suspended under the new law. However, the suspension does not apply to members of the military who move due to a permanent change of station. Airline Baggage Fees (if You're Self-Employed)If you’re self-employed and you travel for business, make sure you deduct your baggage fees. If you’re not self-employed, you won’t be able to make this deduction, so opt for an airline with low baggage fees. Mortgage Interest DeductionYou can deduct the interest you paid on loans of $750,000 or less, but if you’re married and filing separately, you can deduct the interest only on loans of up to $375,000. This marks a decrease from the previous year, when the limits were $1 million and $500,000, respectively. This new limit doesn’t apply if you had a binding contract to close on a home after Dec. 15, 2017, and closed on or before April 1, 2018. Mortgage PointsIf you itemize, you can deduct the points — or prepaid interest — you paid to purchase or build your primary home. Typically, if you can deduct all the interest you paid on your mortgage, you can also deduct all of the points. Home SaleIf you sold your home at a profit, you can exclude up to $250,000 of gains from your income. If you’re married and filing jointly you can exclude $500,000. Self-Employed Health InsuranceHealth insurance is tax-deductible for self-employed taxpayers. If you were self-employed in 2018, you can deduct premiums you paid for medical and dental insurance, as well as for qualified long-term care insurance. Gambling LossesGambling losses are one of the few itemized deductions that will remain intact for the tax year 2018. If you suffered gambling losses, you can deduct up to the amount of gambling income you reported. You can claim your losses as an “other miscellaneous deduction,” but be prepared to show proof of those losses. Unfortunately, alimony will no longer be deductible for those who get divorced after Dec. 31, 2018, according to the new tax law. Car Registration Fees (if You're Self-Employed)If you meet certain requirements, you might be able to include some or all of your vehicle registration fees in your tax deductions. If part of your registration is deductible, you must itemize your deductions. This deduction — which previously applied to all employees — now only applies to those who are self-employed. Some Disaster LossesPrior to the change in tax laws, any loss or theft related to your home, household items or vehicles was tax deductible. However, deducting for personal casualty and theft losses is now suspended, unless the loss occurred in a federally declared disaster area. Military Reservist Travel ExpensesIf you travel more than 100 miles from your home as a military reservist, you can subtract travel expenses from the income you report on your tax return. Qualifying expenses include transportation, meals and lodging, with some exceptions. Health Savings Account ContributionsHealth savings accounts are tax-exempt accounts you use to pay or reimburse certain medical expenses. You can claim a tax deduction on contributions you or someone other than your employer made to your account. I am a sucker for office supplies. I am that woman that you will bump into in an office supply store that looks as though I've been transported to heaven. While I work on a computer - mostly - I still take notes on paper (at any given time, I have 2 different Leuchtturm bullet journals plus an array of notepads). I love Post-It notes. And I have a ton of pens ( a section for blue pens and a section for black pens, perks of being a notary). The plus side to this all? I can deduct those supplies as necessary and ordinary business expenses. And depending on where you work, deductible office supplies may also include such mundane out of pocket costs as copy paper and toilet paper (you need them anyway). If you drive to client meetings, to the airport for a business trip, or even to the post office to mail out Etsy orders, you should be tracking your mileage. Since the mileage rate is $0.545/mile in 2018, this can add up to a pretty sweet deduction if you drive frequently for your business. Look for an app that you can have on your phone to track the miles for you. A popular mileage tracking app is MileIQ. Health insurance is one of the most expensive purchases you may make all year for your business. Fortunately, you may be able to deduct the amount you paid for health insurance, including Medicare premiums you voluntarily pay, for yourself, your spouse, and your dependents (including your child under age 26 at the end of 2018). To qualify for the self-employed health insurance deduction, you must have a net profit for the year reported on Schedule C, Schedule C-EZ, or Schedule F, and the insurance plan must be established, or considered to be established, under your business. If you qualify, you'll deduct the cost of the premiums on the front page of your tax return on line 29 (highlighted above). As with retirement savings, if you have employees, you can deduct the cost you pay for a corresponding plan (sole proprietors would deduct those on Schedule C or Schedule F while partnerships and corporations would deduct them on their entity's tax form). Claiming the self-employed health insurance deduction doesn't bar you from deducting other medical expenses: if you itemize, you can still include your out-of-pocket medical expenses, like doctor's visits and prescriptions, on a Schedule A (with the exception of your health care premiums, obviously). You're allowed a deduction for the costs associated with getting the word out about your business. This can include not only obvious advertising like Yellow Pages or newspaper, magazine, TV or radio advertising but also less in-your-face promotions like the cost of printing business cards and business related swag. And it's not just the final product that's deductible: you can also deduct reasonable costs of coming up with ad copy or slogans, as well as creating graphics and logos. The costs associated with your website are deductible, including the cost to purchase and maintain the site and hosting fees. Think outside of the box, too: the costs of creating and hosting seminars and workshops meant to lure in customers can be deductible as are community sponsorships, like putting your business name on Little League and other team tee-shirts. You can deduct the cost of expenses related to a car or truck, such as gas, oil, repairs, insurance, and license plates. Limits and other rules may apply so check with your tax professional for details. You can typically deduct premiums that you pay for business related insurance. This can include errors and omissions insurance; professional malpractice insurance; general liability insurance; and workers compensation insurance, as well as the cost to insure your premises from fire, storm, theft, accident, or similar losses ( remember that health care insurance is deducted separately). Nobody likes to pay their lawyers, but luckily, business-related legal fees are deductible, as are fees you pay your accountant and/or tax preparer to keep your reporting up to date and accurate. Also deductible? The costs associated with payroll services, insurance brokers, consultants, human relations (HR) personnel and other professionals that you hire to keep your business going.